There’s nothing better than being able to cool off by jumping in the pool after enjoying the summer sun in the south of France. 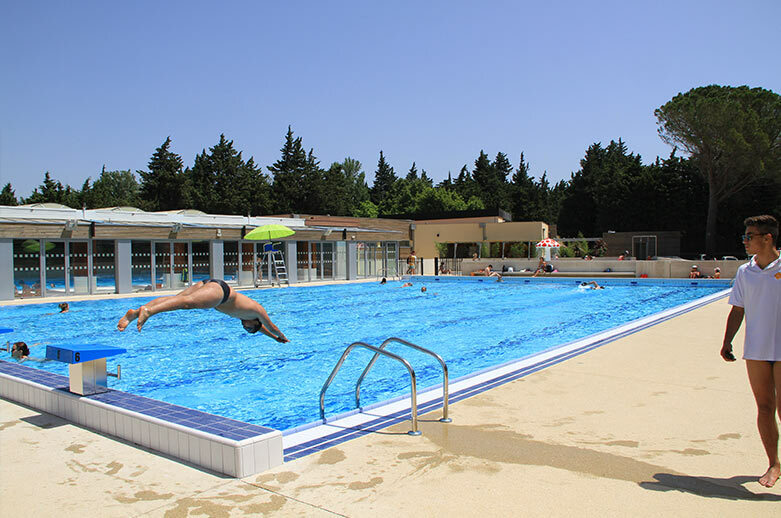 The municipal pool of Villeneuve-lez-Avignon, also called the Laune sports complex, is located right next to the campsite and is open to all guests of the Les Avignon campsite in July and August. So you can calmly enjoy your camping vacation in Avignon with a pool nearby. This space consists of an indoor pool, an outdoor pool, a solarium and a children’s area. On-site staff offers you all kinds of aquatic activities such as swimming lessons, diving and aqua aerobics. FYI swim shorts are not allowed and children must be under parental supervision.